SaskOutdoors is pleased to be the Saskatchewan partner with the Council for Environmental Education (CEE) bringing the new environmental education resource “Flying WILD: An Educators Guide to Celebrating Birds” to Saskatchewan and Canadian educators. Flying WILD's focus is on migratory birds and is designed to inspire young people (grade 1-9) to discover more about the natural world. It encourages students to get involved in activities that promote environmental learning and stewardship. The Flying WILD program places special emphasis on reaching urban schools with student populations that traditionally receive few opportunities to participate in environmental education initiatives. 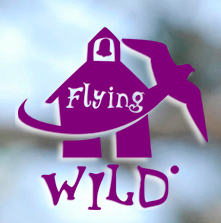 Flying WILD will have broad appeal in Saskatchewan Elementary Schools throughout the province. Three of the four North American Flyways pass through Saskatchewan! Flying WILD was first introduced to Saskatchewan in the summer of 2009 through a negotiated agreement with SaskOutdoors and the Council for Environmental Education. 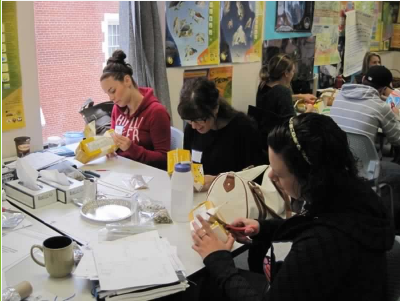 During the 2009-10 academic year, SaskOutdoors organized and delivered a Facilitators Workshop to 14 educators and the Educators Workshop to over 100 Saskatchewan educators, as well as 14 educators at EECOM 2010 in Vancouver and 16 educators at Royal Roads University in Victoria. 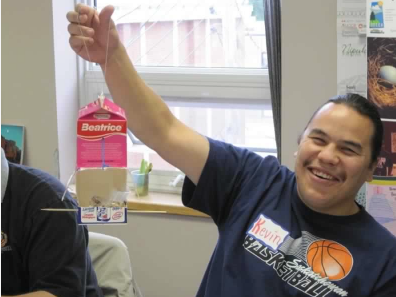 The following academic year, over 75 education students took the basic workshop in Regina and La Ronge. Flying WILD: An Educators Guide to Celebrating Birds is teacher friendly and has 43 complete lesson plans aimed at Middle Years students, divided between Teacher-Led, Volunteer-Led and Student-Led activities. A unique feature of the Flying WILD program is the service learning projects, which encourage students to become active stewards of migratory bird habitat locally and globally. Additionally, teachers, community members and students are encouraged to plan, organize and deliver a School Bird Festival to enhance community education about the barriers facing migratory birds and how we can help provide better habitat. Educators also gain many ideas and find additional resources by visiting the Flying WILD website. Student copy and data sheets can be downloaded from this site, including directions for making various types of birdfeeders. There is also information about International Migratory Bird Day and Bird Festivals that have taken place in other communities. Middle years science and social studies teachers will be pleased to use the newly developed cross-reference guides to the Saskatchewan Curriculum. To book a workshop or for information on attending a workshop please contact us!